Marvel Comics is planning a fresh start in 2018. The video features new Marvel Comics editor-in-chief, CB Cebulski, discussing the project. Marvel’s chief creative officer, Joe Quesada, also spoke about the new initiative for the video. “New fresh ideas, new fresh creators, really are taking that perspective, which is, ‘If you haven’t read a comic before, if you’re an old lapse fan and you want to come back, its the perfect opportunity to do it,’ because, as I say, they start and start and their great jumping on points,” Quesada says. 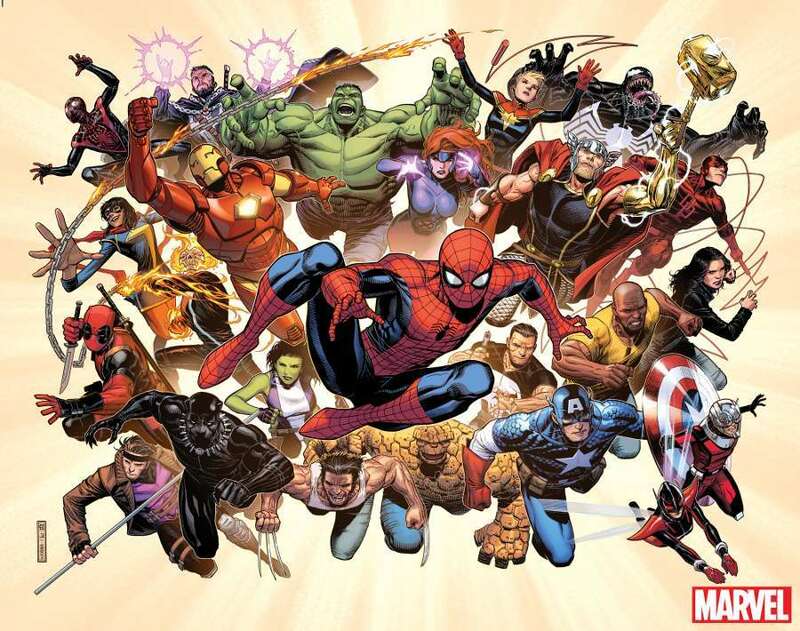 The promotional artwork shows several of Marvel’s biggest characters. Notable among them is Thor, the original Odinson, who seems to have returned with a golden arm and a golden hammer ot match. The Thing is in the image, but no other members of the Fantastic Four. The original Hulk is featured and his return has been teased in the Avengers: No Surrender event. The Ghost Rider Robbie Reyes, who hasn’t been seen since the Marvel Legacy one-shot, is also featured in the image. She-Hulk seems to have returned to her usual green self. Gambit and Jean Grey are both in the image representing the X-Men. Both characters are featured in X-Men Red, though Jean is the leader of that book. It's unclear if this could hint at Gambit getting his own series, though he’s also currently appearing in Astonishing X-Men and the Rogue & Gambit miniseries. Wolverine, the original Logan, is also featured in the artwork, though not in his Wolverine costume. We already know that Marvel has big plans for The Hunt for Wolverine. There have already been some hints about creative shakeups on Marvel's line. Brian Michael Bendis is moving over to DC Comics, which leaves several vacancies on Marvel titles. We already know that Dan Slott is departing Amazing Spider-Man to take over the Iron Man series. Bendis is also departing Jessica Jones and Spider-Man, the Miles Morales series. Both Jessica and Miles are featured in the image, as is Luke Cage, who has been appearing in Defenders. Marvels “Fresh Start” kicks off in May.